Import prices for major polymers including PP, PE, PVC and PS have been steadily rising in Turkey since mid-November 2012 while new price hikes are on the horizon for February, as per the pricing service of ChemOrbis. However, this constant rising trend is mainly triggered by higher costs and supply issues, lacking support from demand. 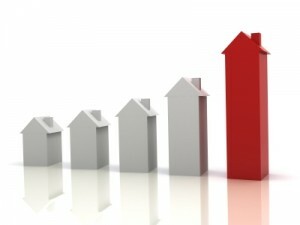 Many sellers also admit that they are seeing resistance at their new higher offers. According to ChemOrbis Price Index, import PS prices have posted the largest increase amongst other polymers since the rising trend kicked off two and a half months ago. Import PS prices have gained more than $250/ton on average while homo PP, LDPE film and HDPE film have risen by approximately $150/ton on average since mid November. In the PVC market, average import prices have moved up by $160/ton while the LLDPE film market has seen a relatively smaller increase of $110/ton on average. Even though these polymer prices have seen a three digit increase, sellers admit that their sales have been performing slowly particularly in the recent weeks. Buyers are showing stiff resistance against these higher offers, but it is yet to hinder the ongoing upward trend. “Regardless of poor demand and the resistance built on the buyers’ side, prices should still rise based on costs, poor producer margins and limited supply,” commented a global trader. A fibre buyer, who said he would refuse to pay the higher levels being planned by a major producer, said, “Middle Eastern producers are obtaining the best profit in the Turkish market.” Indeed, the Turkish PP market appears to be carrying a premium of more than $100/ton over China, according to ChemOrbis Netback Analysis. Now that European ethylene and propylene contracts have settled with rollovers to €10/ton increases for February and spot benzene costs have noticeably slumped, buyers have started to hope for a relief in prices from the feedstock markets. “These developments should help the rising trend lose some steam,” argue some sources.